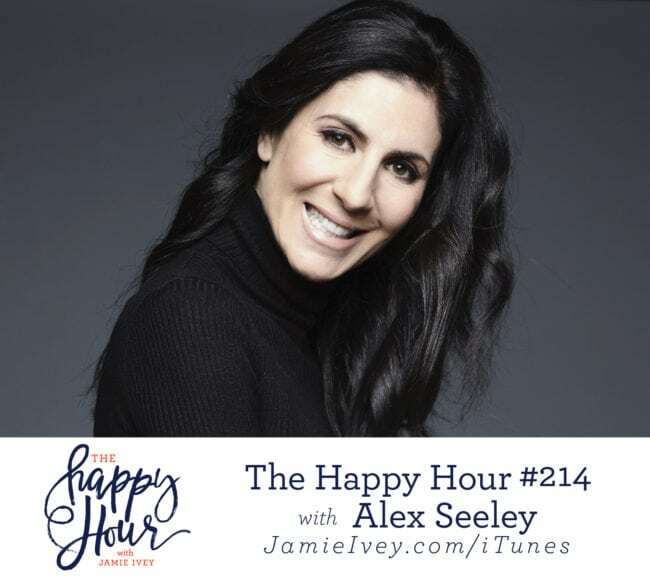 My guest for The Happy Hour #214 is Alex Seeley. Alex is a passionate communicator who speaks the truth in love. Alex is the Lead Pastor of The Belonging Co Church, and author of Tailor Made. Alex and her husband Henry have two children, Holly and Taylor, and reside in Tennessee. Alex and I start off the show talking about her across the globe move from Australia to Tennessee knowing that God was leading them, but not knowing what would come next. Alex describes how she was convinced she was done pastoring churches, but God had other plans. What started out as simply inviting 5 friends to their home on Tuesday nights, became an “accidental” church plant and has grown into the church Alex and her husband lead today. I loved hearing Alex share the way God reminded and encouraged her of how we can be the bride He’s coming back for. In the second half of the show, Alex and I talk about the lies we encounter in our daily lives that distract from the truth of what God says. Alex reminds us that it’s a choice we must make every day to “pick up His word and actually believe it.” We also talk about those times we are in the wilderness. Alex provides so much encouragement when she speaks of the wilderness as an opportunity for more: in the wilderness God shows us what we truly believe about Him when there is nothing else, and this true presence of God can change everything. Friends, my hope is that every one of us will go to God and ask Him to show us the lies we are believing, and be reminded of the truth of what He says. Seek out a trusted friend, share what you learned in your time with God, and together we can help point each other to Jesus. Prep Dish $4 for one month! Grove Collaborative – $30 Mrs. Meyers gift with purchase of $20 or more!